At Dover Rug & Home we pride ourselves in offering the finest selection of rugs, carpets and flooring options in New England. What distinguishes all of our rugs – contemporary, traditional, antique or custom-designed — is their “craftsmanship”, “quality” and “uniqueness”. Our Contemporary Collection is designed to capture the ambient spaces of a modernized style or a traditional home with a contemporary flair. The carpets in our Designers’ Reserve are conceived and articulated by great designers such as Barbara Barry, Kevin Walz, Mark Pollack, and Vicente Wolf. These rugs, which consistently elevate the art of handmade carpet design, are made to be used in great interiors created by design professionals. Our Transitional Collection is a combination of elements inspired by the classic designs of the past with an eye for fashion forward colors and designs to fit today’s life style. Our Traditional Collection represents rugs inspired from the tradition and folklores of local culture keeping in mind the designs and colors of today’s lifestyle, it is this creative combination that makes decorating with rugs an exciting experience for our clients at Dover Rug & Home. Last night we hosted “From Floors to Walls” a Boston Design Week special event with Jacqui Becker of Jacqueline Becker Fine Arts Consulting Services. 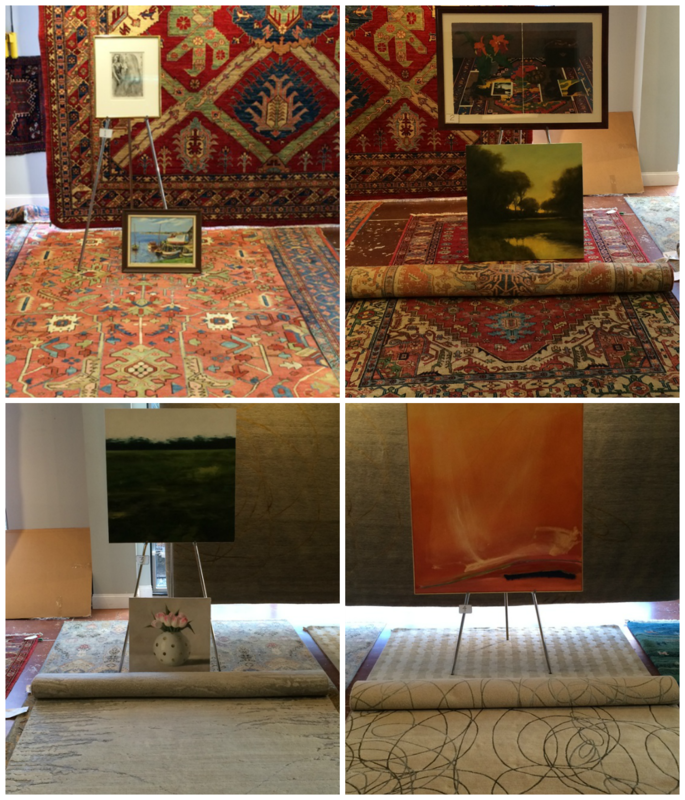 We’ve been anticipating this event for a long time, and we were very excited to help our audience demystify the art of decorating with fine rugs and fine art, including understanding what drives their prices and how to make an educated investment. 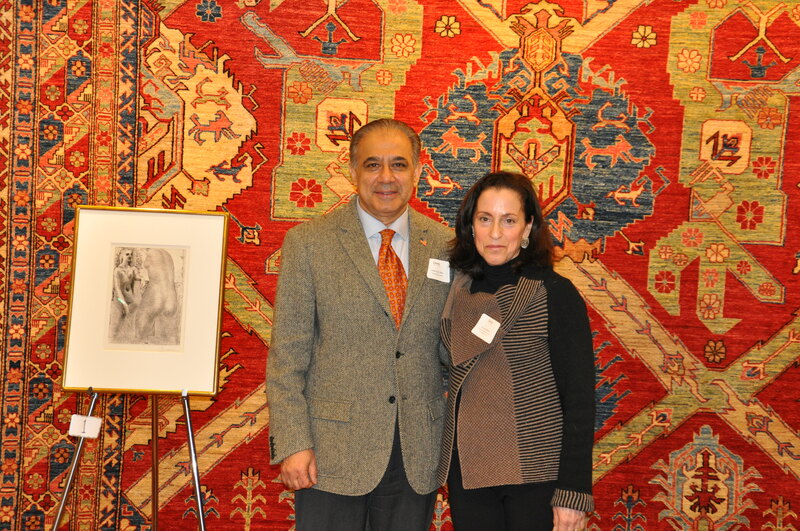 After learning the secrets, guests got to put their new knowledge to the test, guessing the value of vignettes of exquisite carpets and fine art that were on display in classic, traditional, contemporary, and transitional styles. We even had one lucky raffle winner go home with a 5”x7” rug! Color- Unless your room is a blank slate you should aim to select a rug that coordinates with the room’s existing color scheme. Trust us, when you get the color right, everything else becomes so much easier. Design- Let your personal style and existing décor guide you to select either a traditional, contemporary, or transitional rug. When in doubt, transitional designs are a smart choice, as they tend to work in most interiors. Texture- The visual effects of texture should not be underestimated. Not only are textured rugs visually intriguing in themselves, but also they offset the solid surface of your floor, drawing your eyes into the dimensions of the rugs. Construction- Different constructions will determine durability, prestige, and price. Fiber- Fibers will determine a rug’s cleanabilily, durability, color retention, and softness.